Roger Kemp is a professorial fellow (working part-time for the University). He lectures on the postgraduate programmes in Safety Engineering and, with LEC, Energy and the Environment. He is particularly concerned with energy use in transport and contributed to the Department for Transport white paper on sustainable transport. His research interests include the safety regulation of the nuclear industry as well as energy use and safety regulation of transport systems. He spent 4 years on the Engineering Policy Committee of the Royal Academy of Engineering and is on the IET Energy Policy Panel. He has provided advice for government departments and given evidence to select committees. He has been an invited speaker at many conferences on energy use and is an Associate of the Cambridge Electricity Policy Research Group (EPRG). He was a member of a review group for the Chief Scientific Advisor on the use made of science and engineering in government, has chaired Royal Academy of Engineering committees investigating the impact of the widespread adoption of electric vehicles and heat policy, has undertaken research for the Energy Technologies Institute on carbon reduction through modal shift and a number of investigations for the rail industry. Before joining the University in 2004, Roger was UK technical and safety director for Alstom Transport. He has worked extensively overseas on metro and high-speed rail projects including a period in Paris as project director of the consortium that designed and built the Eurostar trains. 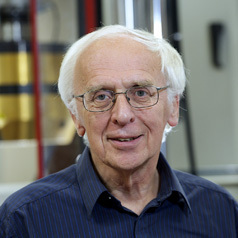 Roger has been involved in several studies for the Royal Academy of Engineering on the challenges of meeting the CO2 targets in the 2008 Climate Change Act, most recently on Wind Energy, and is a member of the IET Energy Policy Panel. He is a Visiting Professor at the Institute of Industry Technology in Guangzhou.